Three years ago at the Winter Olympics in Sochi, with the women’s gold-medal ice hockey game between the United States and Canada teetering on the edge, time winding down in the third period, the American forward Kelli Stack sent a shot down the ice. The Canadian net was empty, cleared moments before for an extra attacker. The puck slithered and rolled for some 130 feet. It slid toward that empty net for a seeming eternity. The American women had won Olympic gold in 1998. Then silver in 2002, bronze in 2006 and in 2010 silver again. If it went in, Kelli Stack’s long-distance shout-out would make it 3-1, United States. Just over 80 seconds to play. An almost for-sure gold medal. The puck clanged off the post. Moments later, the Canadians tied the game and, in overtime, won, 3-2. Would it all be so different now if only Kelli Stack’s shot had gone in? Would there even be a dispute between the U.S. women’s national team and USA Hockey? Would it be so righteous? So public? So ugly? Just imagine the marketing and publicity opportunities that not only could but almost surely would have awaited the women’s team — the Americans winning in Russia, all of that. Think of the way the starring U.S. women’s gymnastics team has been celebrated after recent editions of the Summer Games. The U.S. women’s soccer team, of course. The women on the U.S. swim team. Hockey is a smaller sport to begin with — sorry, hockey fans, but this is fact — and the Olympic women’s hockey tournament has proven the classic definition — sorry again, but three times in 20 years has established this is also fact — of what it means, practically speaking in American culture, to be first runner-up. Instead of celebration, what we have here is another classic — a classic study in an optics, culture and governance problem. And it did not have to happen. Repeat — none of this had to happen, most (but not all) of the blame falls on USA Hockey and significant steps need to be taken to make sure things get made right. What we have here are hockey guys being hockey guys. In 2017, that simply does not play. Credit to the women on the national team. You’d like to think that in 2017, it would not take a group of younger women willing to stand up to a much larger group of older, white dude hockey guys for — and, this is being really, really obvious here — notions of equity and fairness. The players recognized — or their advisers did, or both — that the time for maximum leverage was now, with the 2017 world championships due to begin later this week. Should the players be asking for the moon? Are they going to get it? Like — salaries? Is there going to be progress? At its best, world-class women’s hockey is just that — world-class. USA-Canada, for instance, whether it’s at the Olympic or world championships, is typically first-rate stuff that, like that 2014 gold medal game, rivals other must-see sports products. Semifinals: U.S. 6, Sweden 1. Prelims: U.S. 9, Switzerland 0. Prelims: Canada 18, Slovakia 0. Canada 10, Switzerland 1. Canada 13, Sweden 1. United States 12, China 1. United States 13, Russia 0. United States 6, Finland 0. The 2017 women’s world championships is being held in Plymouth, Michigan (where?). The hall seats 3,500 people. Reasonable questions on both counts: why? If the women’s tournament would fill NHL arenas, wouldn’t it make sense to go to one? If corporate sponsors saw an opportunity to step up these past couple weeks in a big way — and lord knows some major mainstream outlets in the press have made the dispute between the players and the federation a significant thing — wouldn’t it make logical sense that some company somewhere would have seized that opportunity? And yet — have any? Explanation, please? USA Hockey’s governance structure needs fundamental review and reform. Its board of directors currently stands at 116, 91 of whom are voting members. Go through the roster and the pictures — an astonishing number of these people are white and male. To say that USA Hockey has a diversity challenge, and on any number of levels, is being gentle and generous. Each year, the U.S. Olympic Committee surveys its affiliated groups and puts together what is called a “diversity and inclusion scorecard.” USA Hockey's numbers confirm what those pictures show: its leadership is overwhelmingly white and male — hockey guys. It was 15 years ago that the U.S. Olympic Committee’s board of directors stood at 123. It went through the media mill after an issue involving the then-CEO. After hearings that involved sessions before Congress, the board restructured, down to 15. Now is the time for USA Hockey board to take steps on its own to slim down, too — and to make gender equity in the boardroom meaningful — before that reform is imposed on it. Next, USA Hockey has played this dispute so poorly. Look at how many medals the U.S. men have won — in all the years since the 1980 “Miracle on Ice,” two silvers, 2002 and 2010, and remember the guys have been NHL players since 1998. Now look at the women — they actually win medals (every edition since women started playing in 1998, including gold at that first tournament in Nagano). Just to be obvious — it’s not even clear yet whether the NHL guys will play at the 2018 Winter Games in Pyeongchang, South Korea. USA Hockey is roughly a $42-million per year enterprise. You can see from comparing its 2015 and 2016 budgets that there isn’t a lot of wiggle room in the numbers. That’s maybe why there hasn’t been a lot of give from the federation side — not to mention the absurdity of trying to get a deal past a board of directors with 91 different agendas. The federation was due Monday to announce a decision of some sort. Instead, nothing. Maybe because there was progress. Or maybe — 91 different agendas. 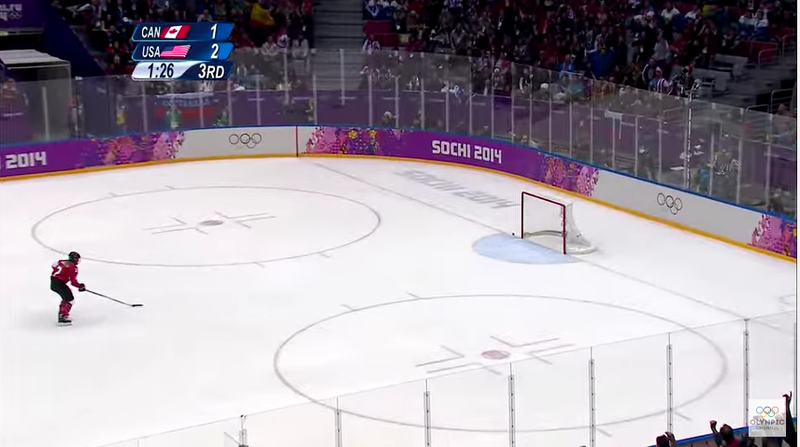 USA Hockey could have solved this for less than a million bucks. USA Hockey has now been battered with more, way more, than a million bucks of negative branding. Who couldn’t see this coming and then, when it all hit, couldn’t or didn’t understand some of the basics of crisis management? Didn’t anyone understand that this just invited the slap shot from Congress — whose members typically know next to nothing about sports but like to get involved when they sniff an opportunity for easy publicity? Didn’t anyone understand that reaching out to the likes of club players — no, really — as potential replacement players for those now on the national team was not likely to generate a win? And if they did so understand, what was that thinking all about — we’re just going to find someone to throw out onto the ice in Plymouth because, what? Let’s see. The United States is the three-time defending world champions and ranked No. 1 in the world. So — whoever is out there masquerading as the world’s No. 1 team would unequivocally be representing the United States the way USA Hockey would be proud to have the United States represented because, what? How many brewskis did it take at the hockey guy bar for that to sound even remotely reasonable? Trying to be fair to the federation, a good chunk of the “news” reporting on the matter has not articulated with precision some of the financial realities that may be at issue — for instance, money is money, whether it comes from USA Hockey or the U.S. Olympic Committee. Moreover, big picture, the women’s hockey team is not the women’s soccer team. The president of the United States was tweeting at the soccer team during the 2015 women’s World Cup. Huge crowds filled public squares to watch the likes of Alex Morgan, Carli Lloyd and Abby Wambach. Maybe if Kelli Stack’s shot had gone in but — no. For all that, USA Hockey has done itself little good throughout this dispute by letting the players and their representatives control the narrative. To be fair, again, some of what’s at issue is inevitably the result of having to deal with NHL players — meaning unionized athletes who have bargained in their NHL lives for certain standards and benefits and are thus highly unlikely in their USA Hockey turns to accept anything less than what they are used to as NHL players. This means air travel, hotels and more, and so in comparing the guys to the women, it may be that the comparisons are hardly apples to apples. The hockey guys fly business class, the women maybe not so much. If, on the way to the 2016 Rio Summer Games, the U.S. men’s and women's basketball teams can be together on the same plane — can someone please explain why the hockey dudes go executive while, in 2017, the womenfolk get sent to the back? Optics, people. For events like the world championships, as CNN Money reported, USA Hockey covers paid transportation for guests for the guys, and those guests get to stay at the players’ hotels, and get meals and game tickets. The women’s team? Not allowed to bring guests. And the players share rooms. Moreover, USA Hockey paid for disability insurance for the guys but not the women’s players. The 2014 U.S. men’s team national jersey? It initially featured the men’s 1960 and 1980 gold medals. What about the women’s 1998 gold? Oops. Here’s an argument advanced from the hockey guys camp — because women make up a smaller percentage of the federation membership, the federation not only can but should allocate inequitably less resource to the women’s national team. Rebuttal, and this is too easy: whose job is it to build membership? If you were writing a textbook outlining “culture problem,” you couldn’t make it any more obvious. Like a puck, you know, hitting you in the pipes. That’s the instant the reasonable person thinks — maybe there’s a better way.